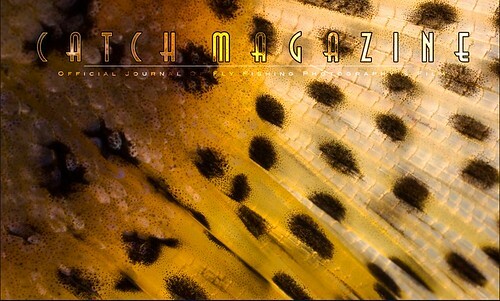 New issue of "Catch Magazine"
The latest issue of Catch Magazine is online now. Photographer Brian O’keefe and his partner Todd Moen continue to find great images and videos of fly fishing. The highlights of this issue, include photo essays on Louisiana redfish, tarpon fishing in Cuba, and fish teeth. There’s also a cool selection of video outtakes from the tarpon film Tapâm—A Flyfishing Journey. This entry was posted in Flyfishing, Flytying and tagged Flyfishing, Flytying.